Trust professional cleaning services in the Adirondacks to take care of all of your cleaning needs. Some of the services professional cleaners provide include general cleaning, office maintenance, window cleaning, carpet steaming, and much more. The cleaners below have service areas that encompass all or part of the Adirondack Park, so be sure to select one that covers your region. North Country Janitorial is a full-service commercial cleaning company offering a variety of services, like general cleaning, post-construction cleanup, and disaster restoration. The company's service area includes counties from Albany to Essex. Scrub Doctors is a professional cleaning service covering the Plattsburgh Region, including Clinton, Essex, and Franklin Counties. They take on one-time cleaning jobs, as well as daily, weekly, monthly, or seasonal jobs, depending on your needs. X-Treme Clean offers residential, commercial, industrial, and post-construction cleaning services in the Plattsburgh, Keene Valley, and Loon Lake areas. The expertly trained staff tailors its offerings to your specific situation. 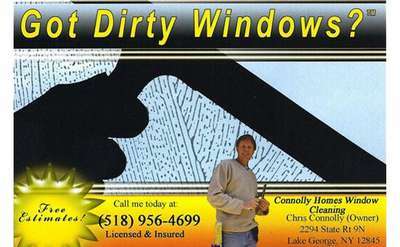 ADK Window Cleaning serves residential and commercial clients in the Eastern Adirondacks and Western Vermont. In addition to window cleaning, the company offers gutter cleaning, carpet cleaning, and pressure washing services.